Unless you work at a startup that’s trying desperately to be hip, adorning your desk with mountains of Star Wars toys probably isn’t encouraged. But when you pay over $2,000 for a fancy pen from S.T. Dupont Paris that just happens to look like a spaceship, you can display it wherever you want. To celebrate/cash in on the return of Star Wars to theaters, S.T. 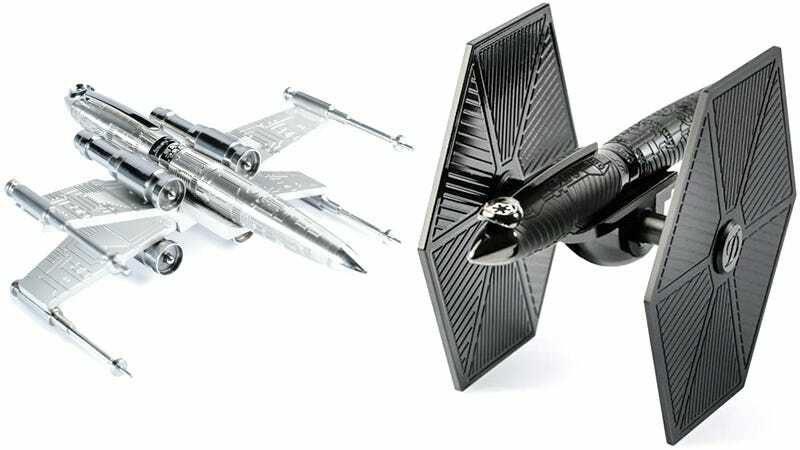 Dupont Paris has created a series of themed writing instruments that now includes a pair of fountain pens resembling an X-wing and a TIE-Fighter when paired with each of their distinctive docks.